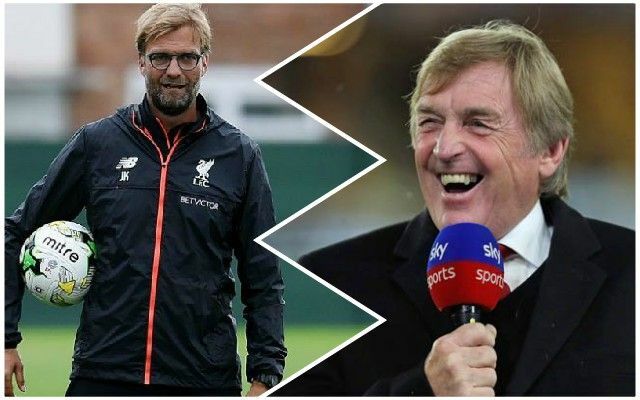 Liverpool forward Liam Millar, who has trained with the first team at times under Jurgen Klopp, says King Kenny Dalglish has been helping out in Reds practice sessions over the last few months. Millar, the 19-year-old Canadian, has just signed for Steve Clarke’s Kilmarnock, who are currently fourth in the Scottish Premiership, for the remainder of the season as he aims to get minutes under his belt at senior level. Having played for Steven Gerrard for the Reds’ under-18s last season, he will come up against him during his time in Scotland with Kilmarnock just two places behind Rangers. Dalglish was one of the people who helped Millar make the move to Scotland, recommending that manager Clarke, formerly a coach at Liverpool, would be a good guide as he attempts to break into senior football. Having the help of a legend like King Kenny can only be a good thing for all the players, not least the younger ones; his guidance and words of wisdom can only be a positive thing. It’s great to hear that the King is still involved around the club – having him down at the Academy will be a huge boost for the lads coming through.